A typical small business owner is deeply involved in the day-to-day operations of their company. They are concerned with things like customer service, innovation, new client acquisition, hiring, conserving resources and making money to keep the doors open. Not surprisingly, when tax season rolls around, it throws a wrench in their entire workflow. Understanding the importance of accuracy when it comes to small business tax preparation, many small business owners drop everything to put careful consideration into their tax paperwork. But what happens when that’s not enough? The prospect of being audited is stressful for any business, but especially small businesses. If the IRS comes knocking, the burden of proof falls on the small business owner to provide evidence of earnings and expenditures. If the entire audit process seems like a nightmare scenario to you as a small business owner, here are some IRS red flags you may be able to avoid. If you report net losses in more than two out of the five years of operation, then you are likely to be audited. Sole proprietorships are even more at risk than other small business types since the comingling of funds is common in this business structure. Pro Tip: If the IRS catches wind of losses from a sole proprietorship, prepare for an audit. To reduce the likelihood of this occurring revisit your income and deductions and ensure you aren’t being excessive. If you feel comfortable claiming deductions, supported by receipts and documentation, move forward with caution. In addition to penalty fees, filing late can trigger unwanted attention from the IRS. Overall, when it comes to the IRS, it’s best to stay below the radar and certainly, a late filing achieves the opposite goal. This could provoke scrutiny that a timely filing would not. Pro Tip: Always file your taxes in a timely manner, even if that means you have to start the process in January. Don’t wait until the last minute to file to avoid unforeseen pitfalls. Small business owners who offer shares of the business to employees have to be careful about providing reasonable salaries. High earners who are also shareholders invite interest from the IRS. But the issue of paying employee shareholders isn’t likely to be the biggest one small businesses face with regards to salary. The more common problem involves the outcome of simply making more money year over year. The IRS audits about 1 in 143 people. But as salaries increase, so too will the chances of an audit. Pro Tip: Familiarize yourself with the average salaries for your line of work to make sure you don’t attract unnecessary scrutiny. As a small business owner, carefully choose your deductions. Consider whether every meal, travel expense and stop for gas truly qualifies as a deduction for business purposes. As previously mentioned, sole proprietors are at greater risk for audit, but all small business owners should make wise decisions when choosing which deductions to take. 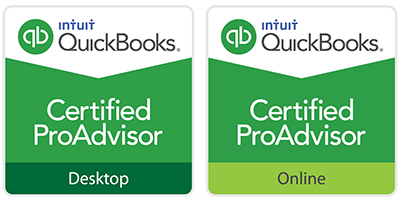 Pro Tip: Compare year-over-year deductions and make sure you are being consistent. If it’s your first year in business, consult an accountant for more guidance. In addition, always remember the following golden rule when it comes to deductions: The IRS guidance states that an expense must be “ordinary and necessary” in your line of business in order for it to qualify as a deduction. If you’ve suddenly decided to give large sums of money to charity, this kind of income shift could appear suspicious to the IRS. Sometimes businesses give money to charity to avoid paying taxes on it which is considered abuse of the tax code. Pro Tip: To avoid getting audited for tax abuse, make reasonable donations year-over-year regardless of earnings. If you claim 100% business use of a vehicle, you can expect the IRS to scrutinize your return. When deducting business use of a car, you must choose between the actual expense and the IRS standard mileage rate. Deducting both of these when you file will raise a red flag with the IRS. Also, when it comes to depreciation, claiming 100% business use, you must be able to provide evidence on every single trip made throughout the prior year. Driving to the gym or your local Starbucks, for example, should not be deducted. If your business deals mostly in cash, this will get the attention of the IRS because it is more difficult to verify income received in cash. In addition, any large cash transactions are likely to be a cause for concern. Examples include the purchase of a new company vehicle made in cash, an investment property or business equipment. Pro Tip: It’s recommended that you pay for business expenses using a credit or debit card, but if cash is your forte, be very precise and detailed in recording your transactions. In this way, you will create your own paper trail. In addition, for any receipts exceeding $10,000 from a single buyer within the United States or a U.S. territory in a 12-month period, be sure to complete IRS Form 8300. A common problem that occurs when small businesses handle their own tax returns is they sometimes work in rounded numbers instead of exact ones. This leads to incorrect math and is a red flag that could get unwanted attention from the IRS. Pro Tip: Don’t round numbers or use averages, always work in decimal points when it comes to your earnings and expenses for tax purposes. Since it’s already come up in this article, we know the plight of the sole proprietor is to have their return heavily scrutinized by the IRS. The schedule C Form 1040 is a form that sole proprietors use to calculate deductions. This includes things like home office deductions, advertising expenses, interest, etc. Some people believe filing a schedule C can make you more likely to get audited. Does that mean sole proprietors should kiss their deductions goodbye or face an audit? Not necessarily. But this group of small business owners must be careful on what they choose to deduct as to not raise eyebrows at the IRS. Pro Tip: Seek professional advice if you are a sole proprietor doing your taxes for the first time. And check out our Guide to Small Business Tax Preparation for additional tips. Failure to report all taxable income is a big “no-no” when it comes to the IRS. Small business owners are expected to report all income made in the United States, including income being held in an offshore bank account, cash payments and other earnings. If the IRS catches on that you are withholding income in your calculations you can expect an audit. Pro Tip: It’s important for small business owners to stay organized and avoid commingling when possible. This is the best way to ensure no mistakes are made that could lead to income being underreported. Claiming rental losses from real estate is tricky because it’s only allowed in certain conditions. If you are a small business owner in the field of real estate, claiming a rental loss can draw IRS attention to your return. Be sure you understand when you can claim rental losses by partnering with a seasoned accountant. Pro Tip: Check out the IRS Tips on Rental Real Estate Income in order to understand the circumstances in which your small business may be able to claim rental losses. If you’re a small business owner who spends a lot of time working overseas and making money in foreign countries you may be eligible for a foreign earned income exclusion. But since the specifications for this are rigid, it’s sure to generate interest at the IRS. Pro Tip: If you’d like to learn more about the Foreign Earned Income Exclusion, click here. Digital currency like bitcoin is still relatively new with regards to adoption. If you use digital currency in your business, the IRS may be inclined to perform a deep dive into all your transactions. Pro Tip: Avoid centering your business around digital currency until we know more about the impact it will have on the national economy and small businesses more specifically. Always keep a positive attitude: This is especially important when speaking to IRS agents. Being courteous and forthcoming to the agency will make the whole long process move along more quickly. Get organized: Hopefully, you’ve kept meticulous records of your spending and income, as per any small business best practices. But if not, it’s important you get organized at the start of the audit to make it a smooth one. Deal clearly and honestly: With all your records in front of you and with the help of your accountant you can make clear and honest determinations about your income to the IRS. Be sure to read all tax notices: Ignoring tax notices will not help you get through an audit. Ensure that you read and keep all notices received from the IRS. Small business tax preparation is hard enough without the added stress of an audit. If you’re audited you can expect it to be a thorough and sometimes lengthy process where the IRS asks you a number of questions to confirm your income and deductions. But you should also be aware that there are several myths surrounding audits. People with low incomes don’t get audited: As we learned in this article, it’s definitely possible for small businesses and sole proprietors to be audited regardless of income. Audits are done in a timely fashion: The IRS has three years to audit your return. Just because you make it through a tax season, doesn’t mean you’re scot free for prior years. You can audit-proof your return: While the above tips are to help you avoid red flags that can cause an audit, there is no way to audit-proof your return. The best thing you can do is see a professional before filing your taxes and maintain impeccable records. It is important to follow the IRS guidelines for tax deductions. This can prevent your return from being flagged for review. At Ignite Spot, our team can help you understand each of these deductions. Since we focus on small businesses, we can work with you to find every deduction you are qualified to claim. We can also help you determine how much you need to pay for your quarterly payments each year. Whether you file as an individual or an LLC, we can help you through filing your tax return each year. In addition, we will also assist you in the event of an IRS audit to ensure the process is resolved in the most efficient manner. 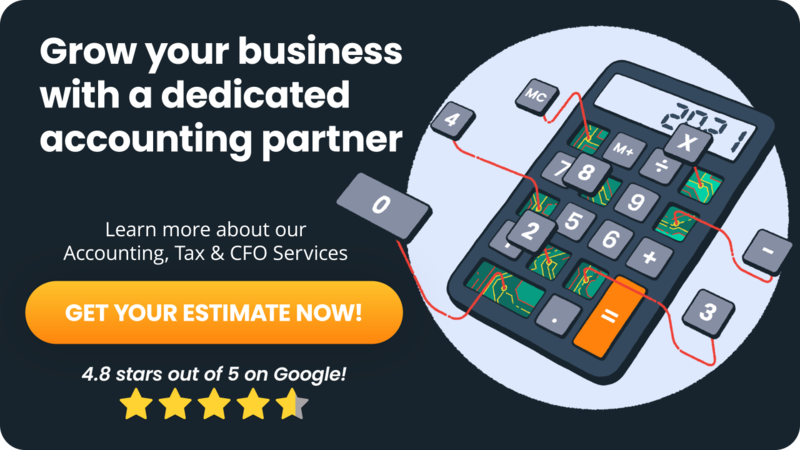 Contact our team today to see how we can meet your small business tax preparation needs.